I haven’t been shy about the fact that our first attempt at gardening hasn’t gone as planned. First of all, we did approximately zero research on which plants would work in our climate, which wouldn’t, and which fruits and vegetables require special care. I have no clue what this is! It appears that this may not have been entirely my fault, however. I was talking to my neighbor the other night when he informed me that our garden sits where the prior owners grew pumpkins and composted their trash. DING DING DING DING DING…. That explains a lot, especially the fact that my garden has been taken over by pumpkins and pumpkin vines. 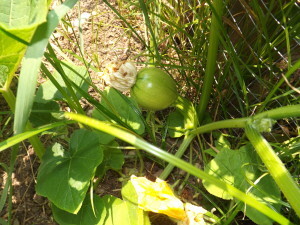 Remember when I wondered how a pumpkin ended up in my garden? Mystery solved, folks. Mystery solved. Here she is in all her glory. Judging by the sheer number of pumpkin blossoms and pumpkin vines I have in my garden, my guess is that I might have anywhere from 15-30 pumpkins in the next few months. It makes me think I need to start brainstorming recipe ideas for pumpkin soup, pumpkin pie, and maybe even pumpkin soufflé. Hopefully we’ll even have our own pumpkins to carve for Halloween. Wouldn’t that be fun? 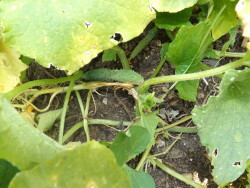 I’m also really enjoying the baby veg that have begun to sprout in my backyard garden, specifically these baby squash. Aren’t they adorable? I water them carefully each day and love watching them grow. I feel like their momma! I can’t wait to make some sort of amazing veggie concoction with them and force my kids to eat it. They have to….we grew it ourselves! I also love watching tiny cucumbers grow. 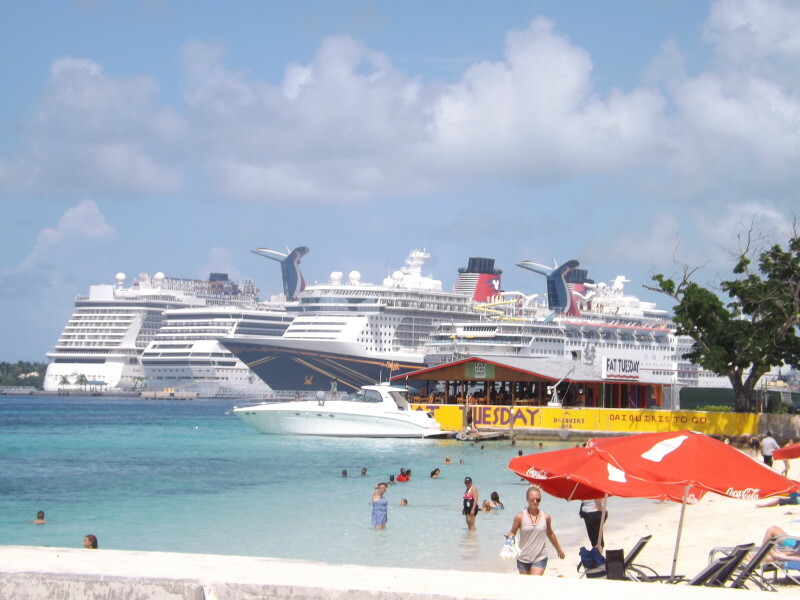 It’s amazing how much bigger they get in such a short timeframe. We’ve harvested and eaten one so far and it was delicious. From the looks of it, we should have dozens of them- hopefully not all at once. We’ve learned a lot about gardening this year even though we’re still in the thick of it. We learned that you cannot grow a ridiculous amount of food on a tiny square of land, for instance, and we learned that it’s important to pull weeds before they get so big you think they are actually a vegetable. We also learned how important it is to read the little labels on each plant carefully. If we had done that, we wouldn’t have planted broccoli plants so close to cucumbers and cilantro in a place it couldn’t possibly survive. May they rest in peace. Overall, it’s been a fun and enlightening experience, although next year we will probably be slightly less aggressive with our efforts and stick to just a few different plants. In the meantime, our only plan is to keep helping our little babies grow and eat them when they’re ready. I cannot wait! Did you have a garden this year? PreviousHow Do You Like to Be Paid? My parents and grandparents always had a garden when I was growing up. My parents have become obsessed lately with canning their own salsa, so most of their garden space is dedicated to that, and it’s delicious! That’s going to be a lot of pumpkins! You should open your own pumpkin patch. 🙂 My wife loves gardening. We want to start one, but the weather in Oklahoma makes it hard to grow anything! I have no idea what I will do with all of the pumpkins! Hopefully I can donate them to someone making pumpkin pies. Summer’s not the best time to garden around here, but I did recently eat a bumper crop of bananas off my neighbor’s banana plants! Haha, how funny would it have been if you never figured out the pumpkin mystery and they just kept sprouting up? Anyway, pumpkins are gonna be sweet to have in the fall! Gardening seems like one of those things where most people (at first) think all you have to do is throw some seeds in the ground and whatever you plant will grow. I didn’t have a garden this year, but hope to within the next couple years. When I do I’m sure I will have some of my own trial and error! Hopefully you will do better than we have! So glad you guys have learned the many joys of gardening. 🙂 We are starting to get some harvest now too, and it’s just awesome! It really is awesome. I’m going to have a ton of food here in a month or so. Start a pumpkin patch! That would be the perfect fall side hustle! I am in the process of researching tips for container gardening, hoping it goes awesome. I spend entirely too much of my grocery budget on vegetables. That’s crazy, but cool, about the pumpkins! Good thing you found out the reason behind them. 🙂 Those must be hearty to grow back even though you did nothing to plant them. We have something similar happen with sunflowers. We haven’t planted any in several years and threw the dead ones in our compost a couple of years ago. Each year we get sunflowers grow out of our compost as a result. SO happy to hear that your garden has recovered after your first disaster. Further evidence that if you don’t succeed, you just need to keep trying. We don’t have a ton of backyard space, so we have just done herbs and peppers and we are pleasantly surprised at what we have gotten this year. Everything just seems to taste better when it comes from your own garden. I’m a pumpkin lover! Love to eat them, love to decorate with them, love to carve them! I’m excited for your pumpkin bounty. Also, my deepest condolences for the broccoli, kale, and cilantro. That squash is adorable! Our broccoli didn’t make it either, but all of our other plants are doing well! You can make pumpkin brownies! I’ve learned that one smart squirrel is all it takes to destroy your heirloom tomato plants. DAMN SQUIRELL!!! Also, if you have a small space, I highly recommend smart pots. I guess I’ll have to make a post on them soon. I think pumpkin freezes pretty nicely. Pies for Thanksgiving and Christmas would be real tasty! Hey Holly, I’m glad you solved the pumpkin mystery. I do have a garden this year…my first one as an adult and it’s going well…I heart baby veg too! It is such a challenge to do a garden in the South with our red clay soil. Plus with all the deer around you really have to go to extreme lengths to protect it. My dad’s garden was laid waste by a deer just this past week. We’ve only potted a few tomato plants this year on the back deck (where the deer can’t get to) and have enjoyed eating those. We also just started our first garden.We found our local nursery had very helpful employees who helped us to get more info on what to plant and how to do so. Plus it helps that we live next to a master gardener. Unfortunately rats have taken a liking to our watermelon and we may not get any of our tomatoes once they get larger. Nonetheless, a very exciting learning process along with a new respect for farmers! Sounds like you’re going to have a bumper harvest this year, Holly! The girls will love carving pumpkins. We don’t have a garden but I definitely enjoy the garden fresh bounty from my local farmer’s market. It really doesn’t even compare to store bought. Congrats on birthing the vegetables lol and sorry to hear about the loss of the Kale, Cilantro and Broccoli plants. I love pumpkin bread! I’m sure your girls would have a blast carving out Halloween pumpkins. Being an apartment dweller who doesn’t have a balcony, any ambitions I may have of growing a garden are on hold for the moment. Gardening is truly a skill and as you said, reading up on it is key to getting a garden going in the right direction. Pumpkins can be great – depending on which kind they are. You don’t really want to use a jack-o-lantern pumpkin for food – too bitter! 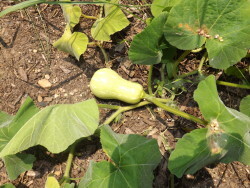 We started a garden this year, and it’s spitting out zucchini, and a few winter squash, but we likely won’t harvest most of it because of our move. We had just set up the raised beds too! Wow, you really have an impressive vegetable! I have some vegetables too, I have tomatoes and bell pepper. My daughter loves to pick up the tomatoes, if she saw that it’s already ripe. 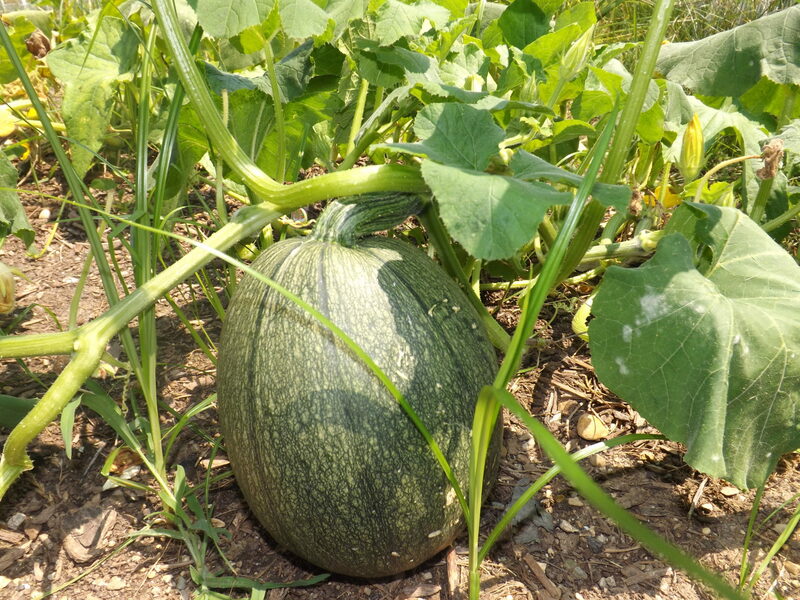 Pumpkins and squash sure take over the garden! We planted a bunch of butternut squash seeds last month and now the plants are HUGE. I love pumpkin. I would have no problem finding uses for it! I have successfully constructed a garden of fruit, berries, and vegetables. I conducted a year-long experiment to grow the plants in a right manner. If we want a productive garden, then we have to do some research to find out what grows well in our lawn. After that we can get the positive result. Good work Holly. I also have same pumpkin vines in my garden grown far long and high on our neighbor wall. It all happened in just few months and we really love it what is growing all. Along with pumpkin, we have small lemon tree that provide hundreds of lemon every winter season and nothing in summer. I want a lemon tree!